St Gabriel's church is located in south-east Cheshire, around seven miles to the east of Crewe and the same distance to the south of Congleton. We are part of the Diocese of Shrewsbury. We have an active SVP group and more details on the group will be added shortly. A brief history of St. Gabriel's. The following is a very brief history of St Gabriel's but will be added to from time to time. Much of this information is taken from work carried out by Basil Davies and Mark Howitt. Fr Robert 'Bob' Fallon was our first Parish Priest, serving from August 1958 to March 1963. Before Fr. Fallon moved to Alsager the church had been served from Crewe. In fact, the church had been completed in 1958, but as there was no presbytery at the time he lived in a rented house over the road. In 1960 he oversaw the building of the presbytery, which was finally completed in December, and a celebratory housewarming party was held on 6th January 1961. At this time, there were approaching 300 Catholic residents in the growing town and Fr. Fallon encouraged a number of parish activities, such as a Sunday School. Next came Fr. Cornelius 'Con' O'Kelly, replacing Fr. Fallon in March 1963 and remaining until his death in September 1968. He was a champion boxer, and at one time not only was he champion of Ireland but was ranked as fourth in the world. He was instrumental in establishing the Social Committee, which arranged a number of events, as well as a choir and APF collections. Fr. Thomas Hartley looked after the parish during Fr. O'Kelly's illness, but rather than being moved to St Gabriel's on a long-term basis he took over the nearby parish of St. Winifrede's in Sandbach. 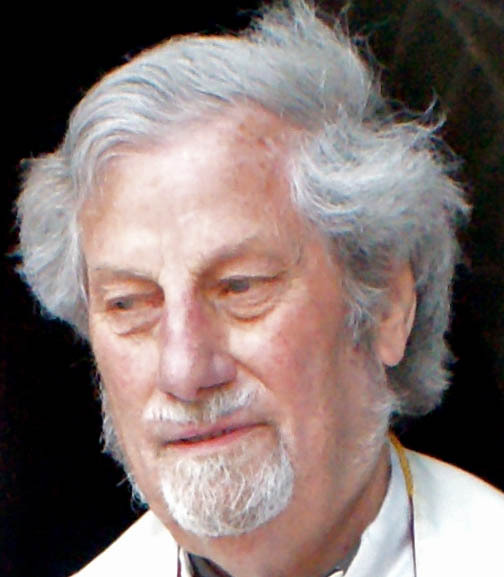 Fr Kevin Byrne served St. Gabriel's from November 1968 to August 1971. He was diocesan Director of Vocations. One of his achievements was introducing a parish newsletter, where he made them his own with wit and puns. He was well-known for travelling across Alsager on his bicycle, and for getting the ball rolling with plans for a primary school. He also led the parish to a full commitment to ecumenism, starting to actively participate in Alsager's Council of Churches. Fr Kevin Moorhouse was one of St. Gabriel's longest-serving priests, serving from August 1971 until January 1980. He presided over the building of the school, battling with councils, contractors and bureaucrats alike, and working wonders to raise funds to achieve the completion of the school. Another significant event of Fr. Moorhouse's time in Alsager was the introduction of the English Mass, said facing the congregation. Marriage Care was introduced, and a youth club and youth folk club were started. Fr. Moorhouse appointed parishioners to the Alsager Council of Churches, commenced the Parish Council, and led a pilgrimage to the Holy Land. He also introduced house Masses, encouraging Masses to be held across the parish. Fr Tony Leonard was the Parish Priest in St. Gabriel's from January 1980 to March 1988. His time in Alsager led to the parish council becoming more active, and a Christian Drama Group was also set up. He led a trip to Coventry to hear Pope John Paul II say Mass in 1982, and further pilgrimages to Lourdes, a place he had visited annually as a seminarian, in 1984 and 1986. Fr Leonard was a keen supporter of Everton Football Club, and his time in Alsager coincided with them enjoying much success! He arranged for the parish to raise funds and much needed support for Poland, a country then very much behind The Iron Curtain. This arrangement led to the first visit of Fr. Melchior, who manages to come back to Alsager each summer, trying and failing to drum up support for West Ham United during these visits. Fr Joe Carney briefly served St. Gabriel's in a caretaker role from March to May 1988. An ex-army chaplain, he undertook a huge spring clean where we removed large amounts of junk and also parish records. Fr John Feeney served as Parish Priest from May 1988 - August 1991. He was a keen supporter of a school for chronically and terminally ill children and a girls' high school in Kenya, and also encouraged donations from the parish to Ethiopia. He made considerable changes to the church building, replacing the roof and altar rails, fitting a Public Address system, and undertook further work for the school and church buildings. One noticeable change was that children were encouraged onto the altar during Mass with altar servers no longer required. Further to this, he appointed the first Eucharistic Ministers to take communion to the sick and elderly. He encouraged further social events and, in his short time organised two successful parish cricket matches! Like almost all of his successors, he failed to get the much-wanted extension built, with the school's debt transferred to the parish. 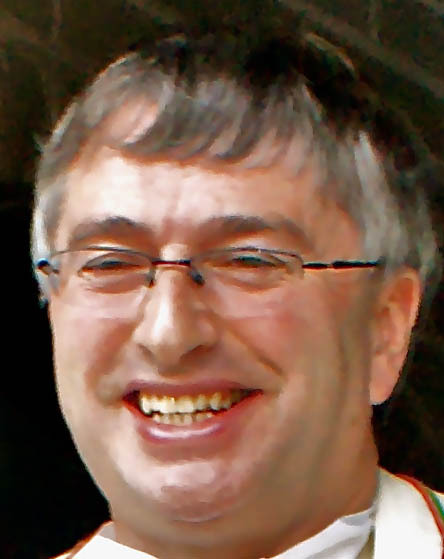 Fr Francis Connolly is, to date, St. Gabriel's longest-serving parish priest, having served from 1991 to 2008. He clearly loved the parish so much that he continues to attend Mass here. He, along with a number of parishioners, helped to improve the appearance of the exterior of the church and then oversaw the overhaul of the heating system and the sound system. One feature of his time as priest was the forming of the Crewe, Haslington, Sandbach and Alsager Chernobyl Children's Society. This was led mostly by church members, around half from St. Gabriel's, and was formed to give respite holidays to children from Belarus who were affected by nuclear fall-out from the 1986 leak. Fr. Connolly was a teacher before becoming a priest and, having taught both R.E and French, was able to re-introduce the teaching of French into St. Gabriel's school. Mass leaflets were also introduced to enable parishioners who were hard of hearing to follow Mass, and Altar servers were re-introduced after a brief absence. Fr Tony Grace has been the parish priest since 2008 and the parish has continued to grow in this time. The gardening group was formed in 2008 and has landscaped all the gardens with 40 tons of new topsoil, 200 new plants and bushes, painted all the fences and built a new one. The whole of the back garden was re-turfed and diseased trees taken out. This has proved wonderful for the Summer Fayres and photos for Weddings, Baptisms and First Holy Communions. Many thanks to all in the Gardening Group for all their dedication and hard work. Recently, thanks to a very generous donation by Ernie & Betty Bostwick, we have a new statue of Our Lady of Lourdes in the front garden with 60 lavender plants, 30 roses (white & yellow) and 200 daffodil bulbs. Thanks to Richard & Patricia Fox, gardening group helpers for digging up and replanting the front border ready for Our Lady’s Grotto. In 2010 a new gas pipeline was installed, replacing the Diesel Tank. We also have a new gas boiler for the church central heating system and have installed 12 new radiators. The sound system has been updated with new speakers in the church and a new amplifier. Also the Presbytery has been refurbished and downstairs is being used as a Parish Meeting Room for Events such as the SVP Tea Parties, Lectio Divina Prayer Group (each Wednesday), Confirmation Classes and RCIA groups. Also after Mass on Sundays, parishioners can meet for coffee and refreshments. We now have a beautiful new church banner made especially for St. Gabriel's by the Sewing Group of Liverpool Catholic Cathedral, of which Fr Tony’s mother June Grace, was a member for 16 years. Sr Anthony, who founded the group, has personally designed all the banners for the cathedral, and the banner for St. Gabriel’s. Many thanks to Sr.Antony of the Notre Dame Sisters for designing the St.Gabriel's Banner and to David Peglar of the Art Studio at the Metropolitan Cathedral for making the banner.A trip to Lourdes was held in 2012. The parish joined the digital age when this website was commissioned at the end of 2011, and, as the congregations at Mass demonstrate, it is clear that the parish of St. Gabriel's is going from strength to strength.